International ADR: Australia – Lynn Cole, Esq. 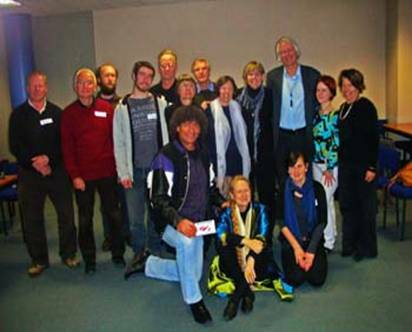 Lynn Cole hosts an Australian Mediation Group on her Website. Holistic Practices is an interdisciplinary and reflexive way of practicing a profession. Developing and promoting holistic, coherent and relevant practices of conflict resolution and peacemaking within Australia and beyond. Appreciating the awesomeness of life, complexity, diversity of culture and values, forgiveness, gratitude, healing, justice, understanding, and wisdom, and the enhancement of the autonomy, dignity and, well-being of all those involved in the practices. To promote a range of discussions, forums, training programs and workshops to increase awareness of the value for holistic practices within Australia and beyond. HPBB is committed to holistic practices and to a holistic context in providing education and ongoing training, mentoring, practice revision and research. Michelle Brenner was invited to be a guest speaker to talk on her book published in 2011, Conscious Connectivity- Creating Dignity in Conversation, at the 17th Annual conference produced by Human Dignity and Humiliation Studies held this year in Dunedin New Zealand. Carmen Hereraka came as a co-guest speaker. Carmen Heteraka is an Active Bearer of Ho’Oponopono, known as a restorative justice process, and works in the Pacific region within the prison and justice sectors. 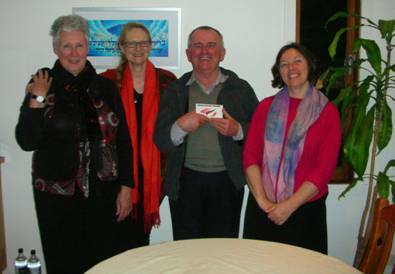 Unfortunately, I cannot name all people in the below photo, however, Kevin Clement Professor of Peace Studies Otago University is the tallest male and next to him on the left is Linda Hartling Director of Human Dignity and Humiliation Studies. Next to Linda is Michelle Brenner. In the front row is Carmen Heteraka kneeling and next to Carmen is Evelin G. Lindner Founding President of Human Dignity and Humiliation Studies Network and the World Dignity University. Click here for a video of Carmen, Michelle, and Evelin. Evelin Lindner Director of Human Dignity and Humiliation Studies came to Sydney and was a presenter at our HPBB September 2011 meeting. Michelle extreme left who came up from Melbourne to join with Evelin. Conscious Connectivity – the book written by Michelle Brenner with contributions by some of Holistic Practices Beyond Border members, Sonia Anderson and Mohamed Dukuly and Carmen Heteraka has had feedback from PHD students in England and Italy. Book review was given by David Maguire, After Romulus follow up from Romulus My Father authored by Raimond Gaita. Practice Review for mediation practitioners was in place at each meeting by those who stayed on. Sonia Anderson and Michelle Brenner went to Brisbane to be part of the LEADR 2012 Mediation Conference. We gave a 2 hour presentation on Holistic Practices which was well attended. We discussed in the March meeting to create a training package “Dignity in the Professional World” this could be our focus for 2013. Carmen and Kauila, were part of this conference and Kingsley Okoro, was also a keynote speaker. All three are contributors to the book Conscious Connectivity. Carmen wanted to share with everyone his gratitude for what our group, HPBB, has done for his life. He now works full time for his tribe as a Core Cultural Program Facilitator. In this capacity, he services 2 Youth Justice Residential Centre (prisons), and provides Cultural Supervision to the staff of Auckland Women’s Prison as well as Facilitating their Cultural Program. In Carmen’s personal life, he told me, “ What use is it if I can’t help make peace within my own tribe and family.” So Carmen approached his sister and her family who were having trouble and sorted out their conflict much to everyone’s satisfaction. We closed our meeting with our traditional forgiveness process. Michelle has been working for over 20 years in the field of conflict resolution. She was one of the first to do post-graduate work in Conflict Resolution in Australia and one of the first to have a full-time job as a mediator in local government. She has since worked as a mediator and conflict analyst within the government, health area, police force, family practice and non-for-profit organisations. She draws on her work experience, multidisciplinary research, life experiences and her Chassidic community of scholars and literature. This book is a comprehensive approach to assertiveness and its role in communication. The author, Michelle Brenner, draws on extensive experience as a mediator and conflict resolution consultant. The book offers a framework for understanding the history of assertiveness as well as the role that assertiveness plays in communication. 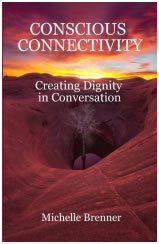 By introducing a holistic paradigm and a set of tools for practical engagement, ‘Conscious Connectivity’ reveals ways for creating dignity in conversation. Dignity that relates to the interaction of cultural and personal moral perception. With contributions from academics to capture a wide perspective of holistic practices and their application. The forward, by Hawaiian traditional healing practitioner, Kahuna Kauila Clark affirms the value for ‘making things right’. And this is the latest article I have published on mediate.com. I wanted to let you all know where we are up to. This year we have had 2 invitations to present at 2 International conferences in Australia. One in May was the International Non-Adversarial Justice Conference in Melbourne hosted by Monash University law faculty and the other is this week IPRA, International Peace Research Association hosted by Sydney University Peace and Conflict Studies. In both cases, the presentation was on Holistic law/Conflict Resolution. Here is the later published paper that I see is the first of a series of 3 that I will inform you on as they get published. I wanted to share with you a syncronistic experience. This paper was published mid-June and yesterday when I was informed of the upcoming July IPRA conference speaking slot, I discovered I am presenting with an African, a Hawaiian and a Japanese. I will be presenting with Carmen Hetaraka who is an active bearer of Kanaka Maori. That paper is the 3rd of the series. I will keep you all updated. 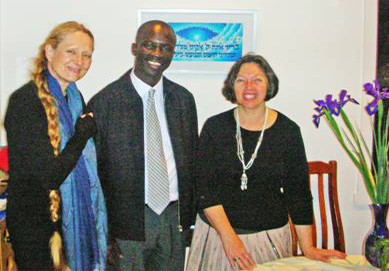 Michelle Brenner, a pioneer in inter-faith conflict resolution processes and programs and developed holistic mediation and conflict resolution theories that have been published as well as practiced. David Maguire, For the past 28 years, a great deal of my pastoral ministry in the Catholic Church has been devoted to the tasks of peacemaking and reconciliation. 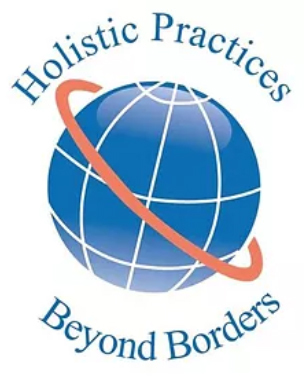 Holistic Practices Beyond Borders develops holistic and inexpensive conflict resolution and mediation practices which, I hope, will benefit our local and global communities. Marilyn Scott, As a dispute resolution pracademic I look forward to seeing where Holistic Practices Beyond Borders can extend and enhance my understanding and practice of mediation. Fayez Nour, 30 yrs in local govt. senior/executive, management duties included industrial and commercial conflict resolution, currently operates a private practice as a Psychology Counsellor, specializing in remedial therapy for depression and suicidal symptoms. Paul Duffill. I began my training in conflict resolution as a teenager, training in Aikido. I have training in mediation, facilitation, conflict resolution, executive coaching, and grief management. Holistic Practices Beyond Borders is holistic and effective conflict resolution and mediation practices. Mediation: Revenge and the Magic of Forgiveness, ($25.00) Center for Dispute Resolution (1996). “A brilliant collection of articles and one-page instructions on how to mediate for beginners and experts alike.” Barbara Ashley Phillips, Mediator. Mediating Dangerously: The Frontiers Of Conflict Resolution ($34.95) Jossey-Bass/Wiley (2001) ISBN: 0-7879-5356-3 “If you want to stretch your thinking about the art of mediation, Ken Cloke’s new book is for you. Mediating Dangerously is packed with enough thought-provoking ideas for ten books.” William Ury, author, The Third Side: Why We Fight and How We Can Stop. The Crossroads of Conflict: A Journey Into the Heart of Dispute Resolution,($32.95) Janis Publications (2006) ISBN: 0-9734396-9-6 www.janispublications.com “ … a treasure trove of profound insights and practical wisdom about understanding, addressing, transforming and transcending conflict. It will enrich and inspire, and even empower, not only mediators but anyone who works with conflict, professionally or personally.” Leonard L. Riskin, University of Missouri-Columbia School of Law. Conflict Revolution: Mediating Evil, War, Injustice and Terrorism, [$32.50] Janis Publications (2008). ISBN: 0-978-0-9815090-2-0 “There is no one — NO ONE — more deeply versed in conflict resolution, locally and globally, personally and professionally, privately and politically, than Ken. Take his trainings, read his books, hear him speak, participate in his endeavors. I can count on one hand the number of people who have profoundly influenced my life, my career and my course. Ken is one of them. A tough and realistic intelligence coupled with an enormous and generous heart.” Victoria Pynchon, Judicate West ADR Panelist and Adjunct Professor, Pepperdine University School of Law, Straus Istitute. Thank God It’s Monday! 14 Values We Need to Humanize the Way We Work ($24.95) McGraw Hill (1997) ISBN: 0-7863-1096-0 “Three words used most often in this book- team, human, resolution-describe Joan and Ken. It is their team approach, their basic humanity and love of life and their true desire to resolve conflict that makes them and this book so effective.” Peter Schneider, President Walt Disney Feature Animation. Resolving Conflicts At Work: A Complete Guide For Everyone on the Job ($25.00) Jossey-Bass/Wiley (2000) ISBN: 0-7879-5481-0 “Learning how to resolve conflict is key to business success. This book is a valuable guide to solving problems at all levels of organizations… Practical and inspiring.” Jerry Cooper, Executive Vice President, Showtime Networks, Inc. Resolving Personal And Organizational Conflict: Stories Of Transformation & Forgiveness ($34.95) Jossey-Bass/Wiley (2000) ISBN: 0-7879-5060-2 “A CLASSIC! Full of timeless insights into highly sophisticated mediating. The stories are told in detail so that moves and responses by the parties and the mediators are apparent. The mediator’s exquisite sense of timing and respect for the parties combine to produce often astonishing results. Essential reading for experts as well as novices.” Barbara Ashley Phillips, author, Finding Common Ground and The Field Guide to Mediation. The End of Management and the Rise of Organizational Democracy ($26.95) Jossey-Bass/Wiley (2002) ISBN: 0-7879-5912-X “A book that is bristling with wisdom and practical advice. There is not a stale or tired thought on any page. In short, the authors have produced a very important book, one that promises to change the entire foundation of what we have wrongly taken as management.” Ian I. Mitroff, Harold Quinton Distinguished Professor of Business Policy, Marshall School of Business, University of Southern California. The Art of Waking People Up: Cultivating Awareness and Authenticity At Work($26.95) Jossey-Bass/Wiley (2003) ISBN: 0-7879-6380-1 “Cloke and Goldsmith have created a blueprint for organizational revitalization, renewal and regeneration.” Warren Bennis, Distinguished Professor of Business Administration, Marshall School of Business, University of Southern California. Is it enough to know rules or regulations or possess professional know-how? The legal landscape is shifting, now it is focusing upon the ethics of care and of relational and holistic notions of how and in what manner the human dimension impacts upon professional service. The priority now is upon restoring relationships, the well-being of all involved in processes, and in appreciating the new role that professionals have in today’s world. Is it enough to be a professional advocate for personal values or for institutional systems and values? No, because the gap caused by such a professional identity ignores the collateral damage that anything less than a holistic paradigm offers. Today’s professional must try to deal with the needs of a society facing multiple, changing and diverse challenges. This forum on Ho’oponopono will help tap into this holistic paradigm. Michelle Brenner: a Holistic Conflict Resolution Consultant and a pioneer in Mediation in Australia. She teaches Advanced Mediation at University of Technology Sydney andpractisesHolistic Conflict Analysis and Mediation in the workplace, family and government contexts. Carmen Harataka: a fluent Maori speaker, with extensive knowledge and experience according to tikanga in te reo Maori. Carmen was a New Zealand delegate in 2002 on the Cultural Advisory Committee, responsible for ensuring proper use of protocols for the Healing Our Spirit World Wide-Indigenous Drug and Addiction conference in Albuquerque, New Mexico. In his role as a cultural expert, Carmen works with several native Hawaiian organizations in developing, implementing, and evaluating a cultural education curriculum based on Hohaurongo (Ho’oponopono). This forum is brought to you by Holistic Practices Beyond Borders, a non-profit association of active and committed Australian professionals who, in a collaborative spirit, seek to outreach to and link with a wide range of people and organizations in Australia and beyond so as to develop and promote holistic, coherent and relevant practices of conflict resolution and peacemaking. We are grateful that the Sydney University Centre for Peace Studies is hosting this Forum.